Holi (होली Holī) is a spring festival, also known as the festival of colours or the festival of love. It is an ancient Hindu religious festival which has become popular with non-Hindus in many parts of South Asia, as well as people of other communities outside Asia. It is primarily observed in India, Nepal, and other regions of the world with significant populations of Hindus or people of Indian origin. 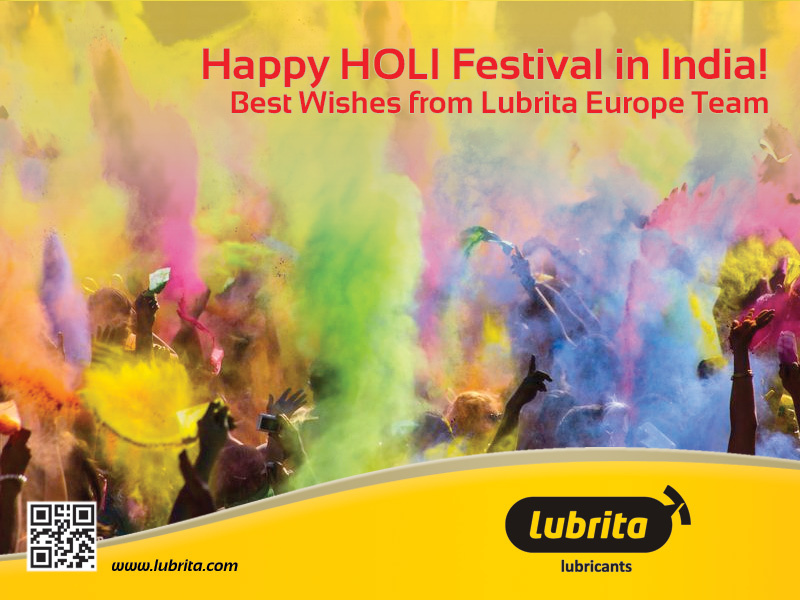 HAPPY HOLI from Lubrita Europe Team!